(NOTE: A lot of this information is covered in the FSM. 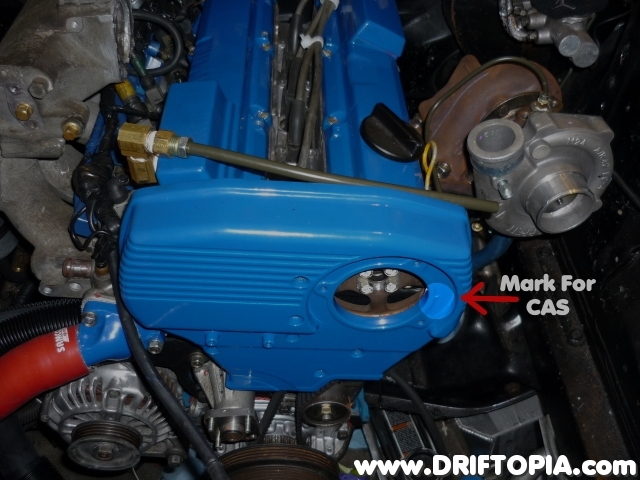 You can download the CA18DET FSM here and check out the engine mechanical section. Before proceeding, go ahead and inspect the belt thoroughly. Look for cracks in the belt, broken ribs or brittleness. 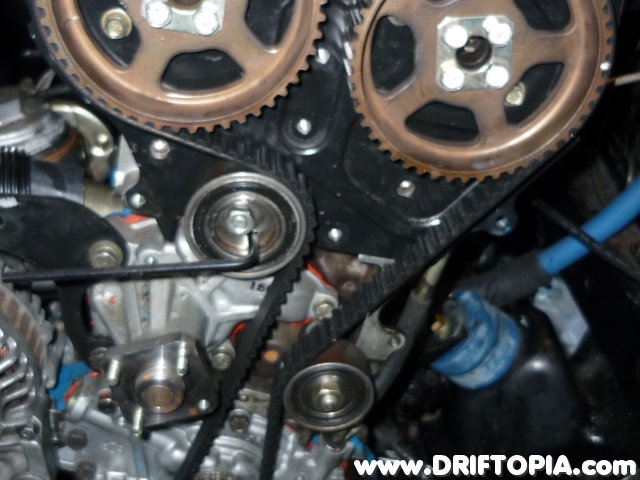 If none of these conditions exist, and you don’t need to remove the cylinder head, then in all honesty you are better off leaving the belt alone as it does not need replacing. 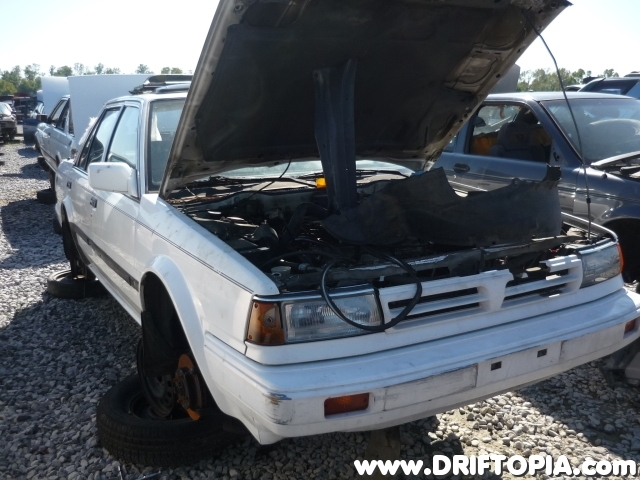 Continue on if you are removing the head or need to replace the belt. 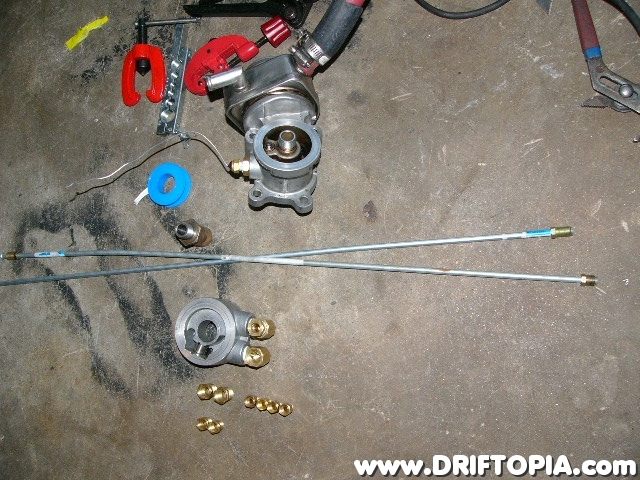 Set the motor at TDC (Top Dead Center) for cylinder # 1 by first ensuring that the transmission is in neutral. 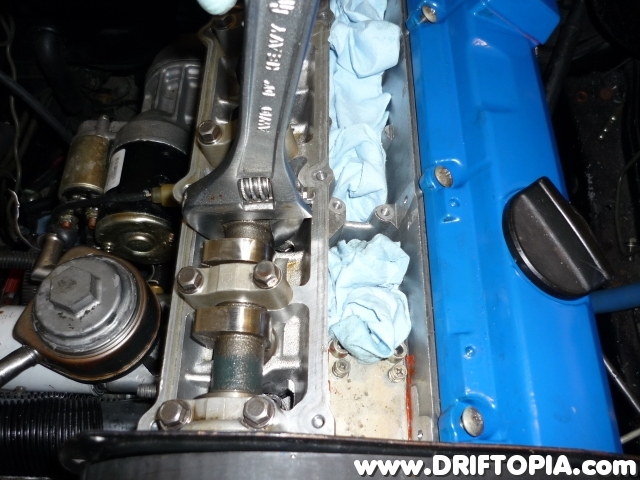 Then, remove the ignition pack from the top of the head above cylinder #1 to expose the spark plug. 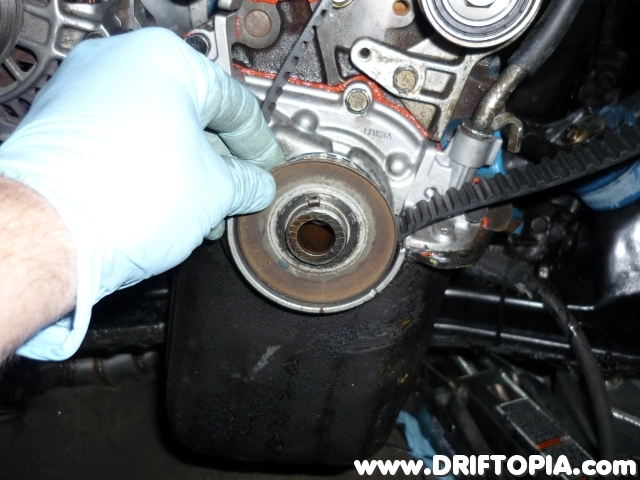 Remove the spark plug and then place a long, 3/8″ extension into the combustion chamber via the spark plug hole. (CAUTION: Make sure the extension is long enough as to not slide all the way into the chamber. 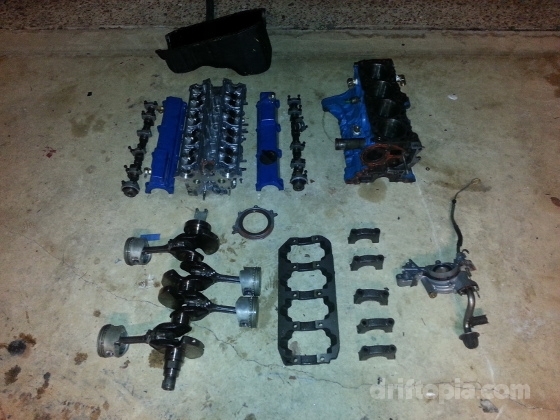 Otherwise, you WILL HAVE TO remove the cylinder head to retrieve the extension.) Next, with a 27 mm socket and wrench, slowly turn the crank pulley clockwise and notice how the extension in cylinder #1 will move up and down. 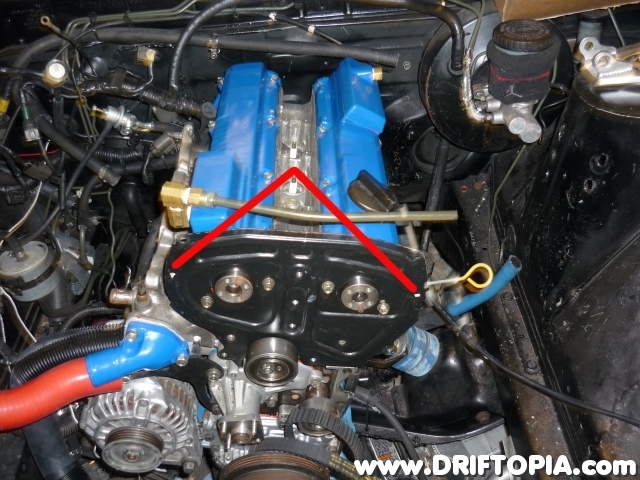 Stop turning when the extension extends the highest from the cylinder head. This is the point where cylinder #1 is at TDC. Step 5: Remove the Belt. 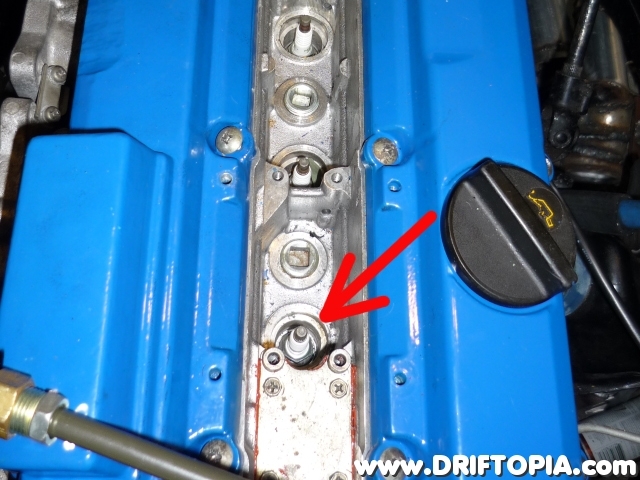 Locate the tensioner (the round piece below the intake cam gear) and loosen the 13 mm nut. Then, take an allen wrench and turn the tensioner clockwise. 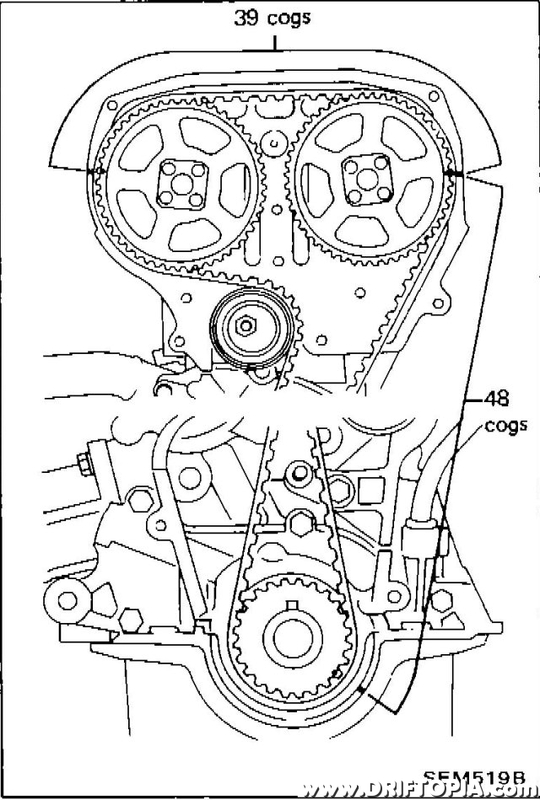 Notice that as the tensioner turns, the timing belt will loosen. 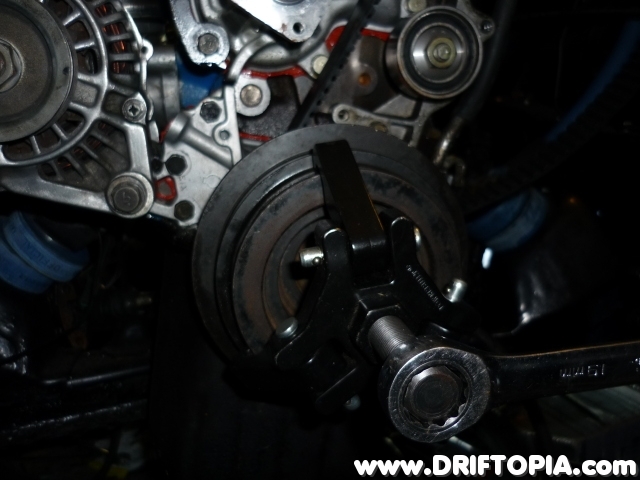 After turning the tensioner, tighten the 13 mm nut to lock the tensioner in the loosened position. 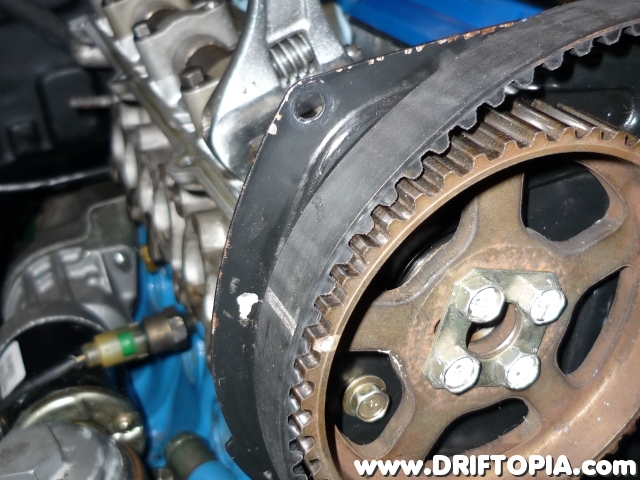 You will now be able to slide the timing belt off the cam gears and the lower sprocket. 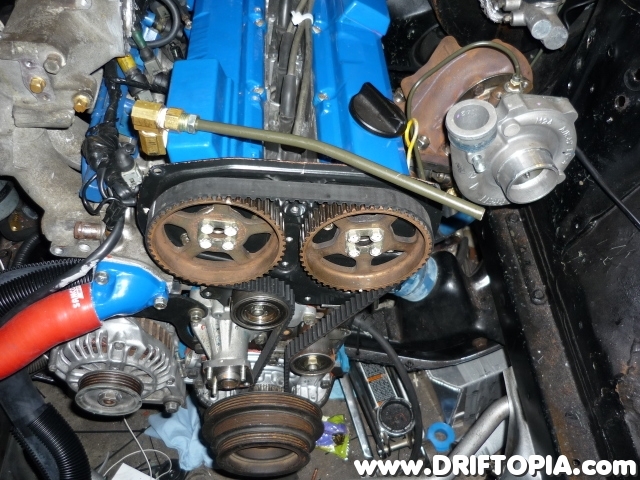 Step 7: Installing the New Timing Belt. Before installing the new timing belt, note that there are three white lines on the belt. These match up with the markings on the cam gears and sprocket. So take the belt in hand and locate the three marking. Note that two of them are closer together than the third. 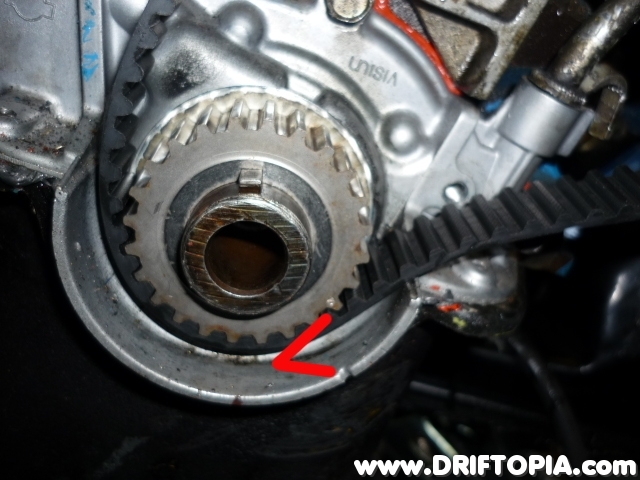 The two close one go on the cam gears and the third aligns to the sprocket. 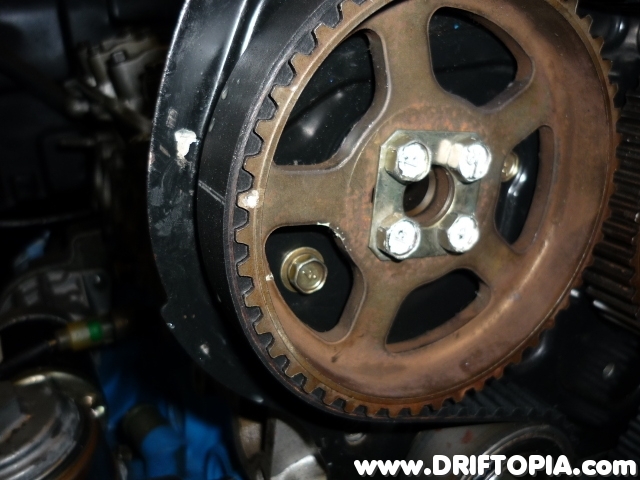 Also, realize that the belt only goes one way so starting at the bottom, align the lower marking to the sprocket and then snake the belt around the idler pulley (the one you haven’t touched yet) and verify that there is a white marking corresponding to the exhaust cam gear marking. If there isn’t, remove and flip it around. At this point, I recommend that you go ahead and loosen the 13mm nut on the tensioner so that it will move freely. 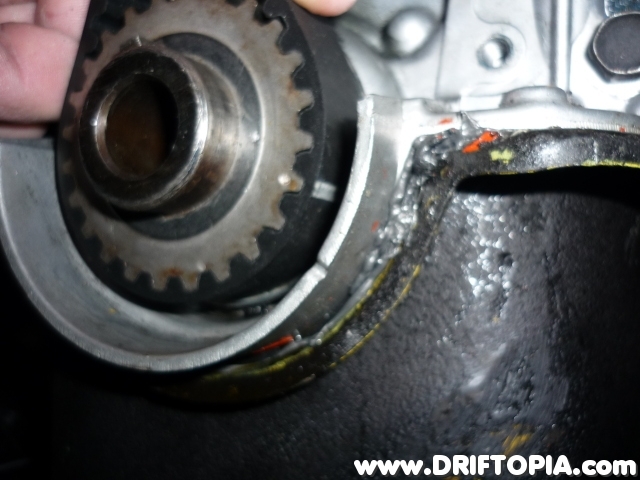 (This will be helpfully in a minute) Now, after aligning the lower marking of the belt to the sprocket, snake the left side of the belt around the tensioner pulley and slide the belt around the intake cam gear verifying that the marks line up. Then continue along this path around the exhaust side, once again verifying all marking line up. During this process, you can use the allen wrench to increase or reduce tension on the timing belt to make it easier to move. 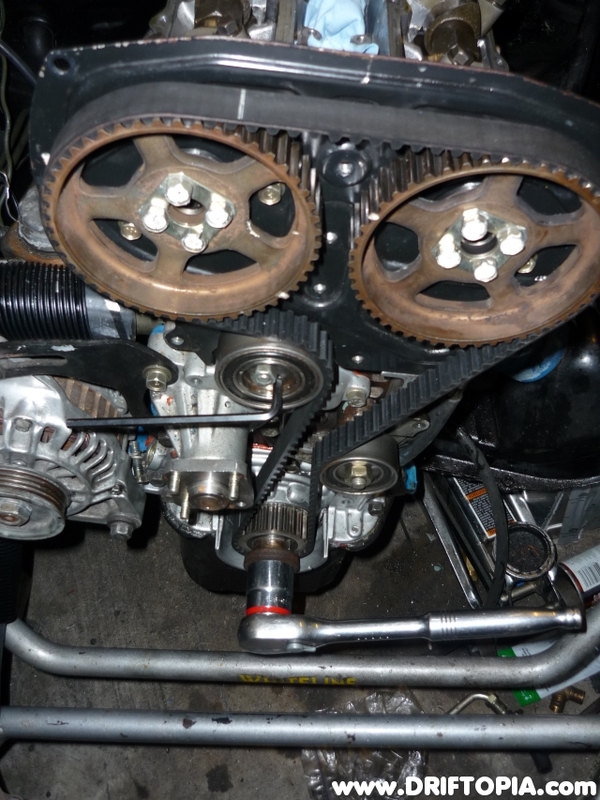 Once again, verify all of the marks line up and then count the cogs between the lower sprocket marks and the exhaust cam gear (48) and the between the 2 cam gear marks (39). If anything doesn’t match, pull the belt and realign it. 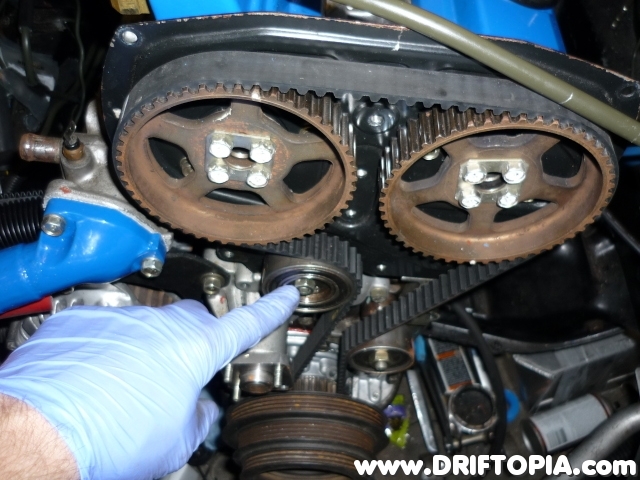 Making sure that the timing belt doesn’t slip, rotate the tensioner counter clockwise and then clockwise a few times to remove slack from the belt. 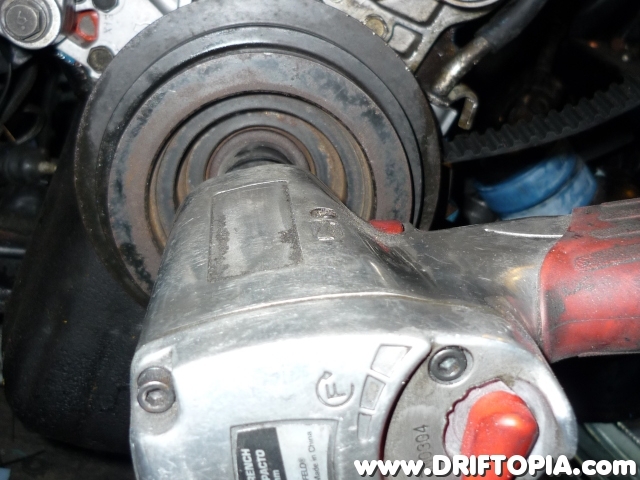 Then tighten the tensioner and ensure that keeps pressure on the belt. 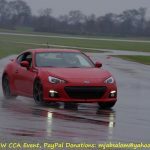 (You will want very little deflection in you timing belt.) 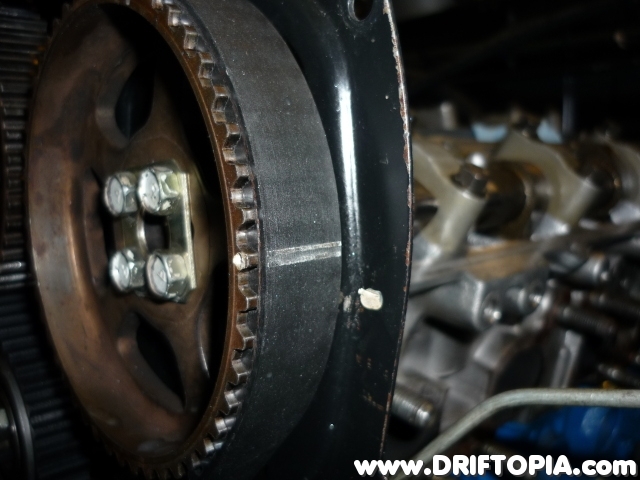 Next, reinstall the washer that sat between the belt sprocket and the crank pulley and then reinstall any lower covers you may use. Then, verify that the car is in 1st gear with the emergency brake engaged and reinstall the crank pulley using the impact gun. Once in place, the crank pulley should be tightened to 110 ft-lbs. 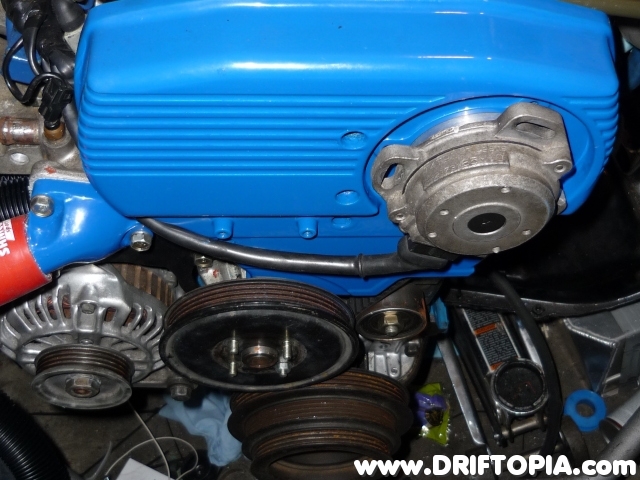 Before proceeding, place the car back in neutral and with a wrench and the 27mm socket once again spin the crank which will rotate the whole engine. 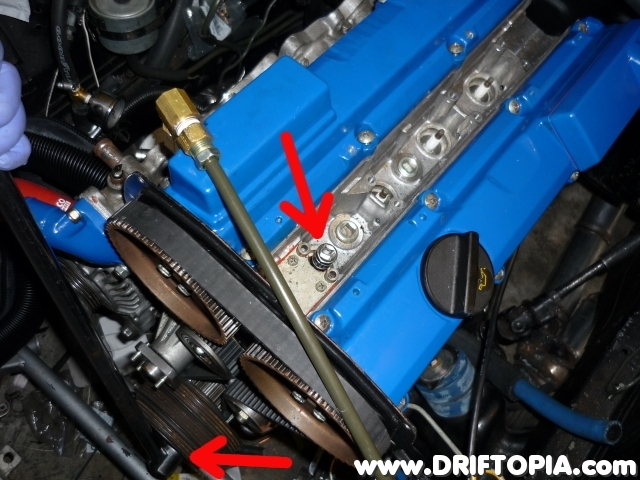 Make two revolution and verify that the timing belt does not slip and that it does not deflect. 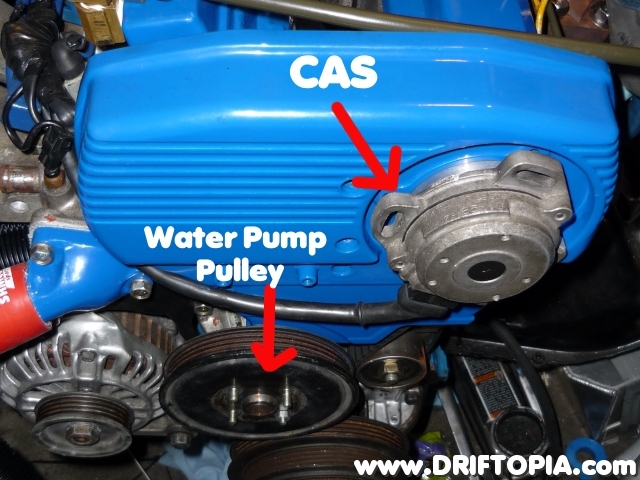 If everything checks out ok, go ahead and replace the upper timing cover and then the water pump pulley and CAS. Finally, reattach the accessory belts and anything else that you need to remove and enjoy.